Although most of the state of Georgia rests firmly in USDA hardiness zone 8, the northernmost part of the state is in zone 7 and the southernmost part is in zone 9. This variation in zones represents a variation in climate temperatures and a variation of the time of last frost, which is the indicator for the best time to plant. Those gardening in the northern part of the state will need to plant their corn weeks later than those in the south to avoid the danger of frost. For those who plant according to the moon, above-ground crops such as corn are planted during the light of the moon, which is the time between the new moon and the full moon. 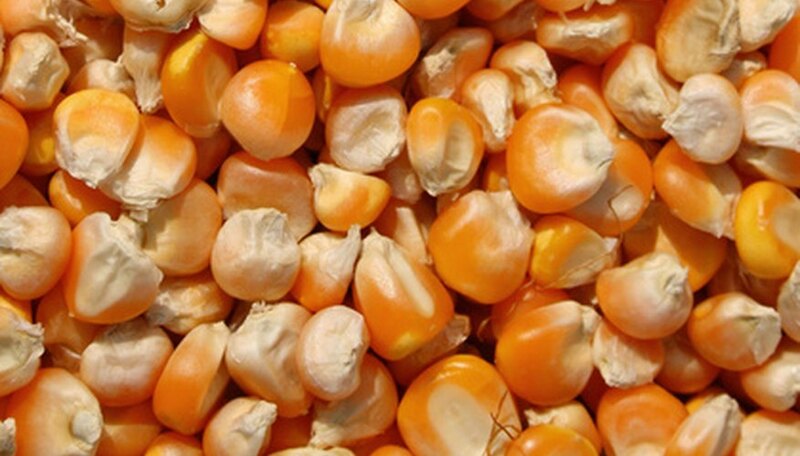 Corn should only be planted in the early springtime in Georgia; although many crops can be planted twice a year in this area, corn doesn't withstand the rigors of being planted in the fall for a second crop as the pest danger is too high. Valdosta is in the southernmost part of the state of Georgia where the hardiness zone runs between zone 8 and 9. The best dates to plant in the Valdosta area are between March 17 through 24. This span of dates is also considered favorable for planting by the moon. Macon is located in the mid-southern part of state where the hardiness zone is firmly placed in zone 8. For this area, the best dates to plant are April 3 through 10. While the correct moon phases do not correspond with these dates, this is the best time to plant to avoid diseases and pest problems when the corn is mature. Planting later will increase the time the corn will spend in the hottest part of the day in the hottest days of the year, and planting earlier may run the risk of the crop being killed by a late frost. Savannah is located along the coast in the southeastern part of the state of Georgia, which rests between zone 8 and zone 9. The best dates for planting in this area are March 15 through 22. The moon phases are also favorable during any of these dates. Atlanta is in the middle of the state and rests firmly in USDA hardiness zone 9. The best time to plant for this area is between April 7 and April 14, however the best time to plant, according to the moon phases, is only on April 14. Rome is in the northwestern part of Georgia, which is in zone 8, but it is precariously close to zone 7, which brings the date of last chance for frost to much later in the year than the rest of the state. The best dates to plant corn in this area are between April 24 and May 1. The most favorable time, according to the moon phase, is between April 24 and April 28. Which is the best insecticide to use: Malathion or Sevin?